In partnership with Engie, Unibail-Rodamco is to host the Diya One robot in the Mixer, the coworking space located at the Parisian headquarters of the Group. This state-of-the-art, 100% French technology will purify indoor air in offices and contribute to the wellbeing of external partners and internal teams who work in the Mixer. 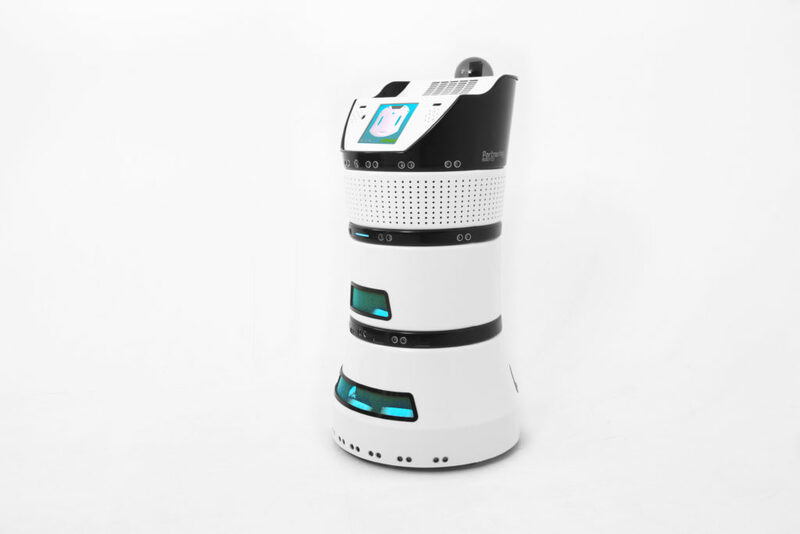 As “employees spend 80 to 90% of their working time in enclosed places, where air quality is deteriorated, or sometimes contaminated” Cofely Services, a branch of Engie specialised in energy efficiency services and environment, and the SMB Partnering Robotics, created Diya One, an R2D2-like robot. The robot is able to purify indoor air continuously; equally, it can gather a large amount of data to help manage energy efficiency in closed environments, thanks to its numerous sensors. In the Mixer, it endeavours to purify the air on a day-to-day basis, and operates autonomously, from 9 am to 12 pm and from 2 pm to 5 pm every day, with 15 min sequences. The robot has a refined design and is smart and easy to use. It adapts to any environment: its neural network inspired by human beings help it avoid obstacles and move around smoothly. All the important information gathered by Diya One are transmitted in real time on a screen, at the entrance of the Mixer. It’s a great tool to change behaviours in companies and to raise awareness among teams around energy saving. The partnership between Engie and Unibail-Rodamco is part of the CSR strategy of the group, Better Places 2030, as energy efficiency is placed at its heart.